Earthquakes of low intensity hit parts of Gujarat and Maharashtra on Sunday, January 20. In Gujarat, quakes were recorded in the Kutch and Saurashtra regions while in Maharashtra, Palghar near Thane was hit. As per media reports, four tremors hit Kutch and Saurashtra within a span of seven-and-a-half hours. 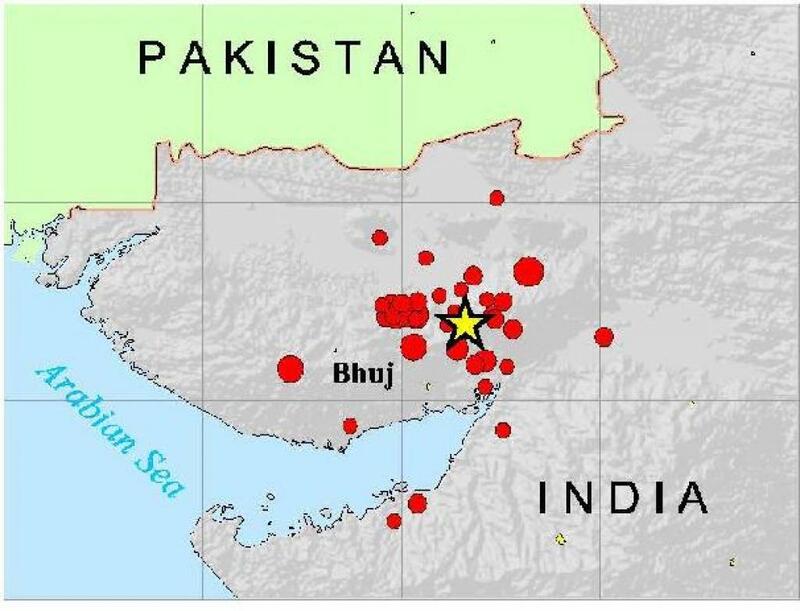 The first measuring 1.4 on the Richter Scale had its epicentre near Bhachau in Kutch. Next, at 12.23 pm, a tremor measuring 4.1 was felt 38 kilometres from Una in Saurashtra. Three minutes later, a third tremor measuring 2.2 was felt, again near Bhachau. The fourth and last tremor, measuring 2.2 on the Richter Scale was felt at 1.37 pm some 31 km from Surendranagar in Saurashtra. As per the tweet, the quake, measuring 3.6 on the Richter Scale had hit Palghar at 6.39 in the evening. At 9 pm in the night, another tremor measuring 3.0 hit Palghar. "Western India, including Gujarat and Maharashtra are in an active fault zone. These tremors have been caused due to intra-plate seismicity," an official of the Institute of Seismological Research in Gujarat's capital Gandhinagar told Down To Earth.